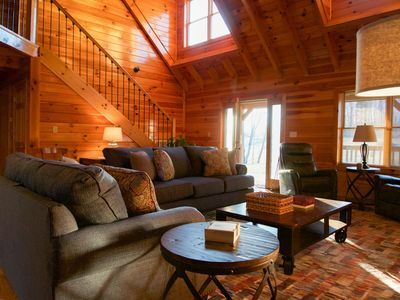 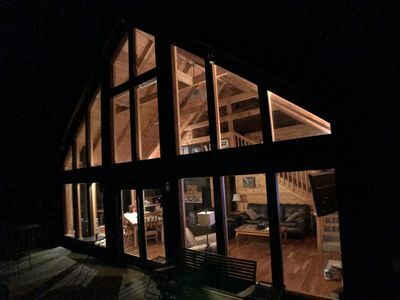 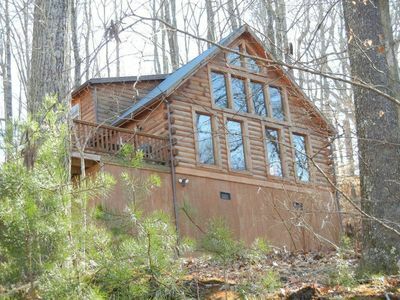 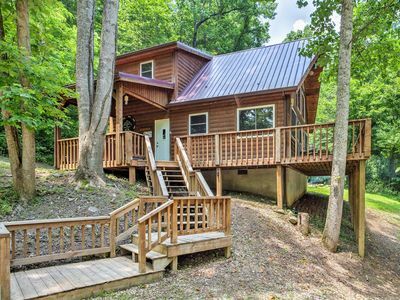 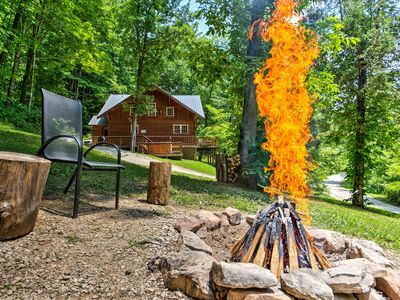 For that “treat yourself to luxury” vacation experience come visit the Cedar Place log cabin. 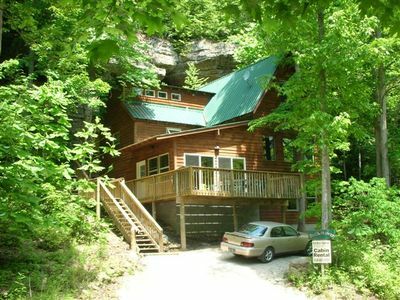 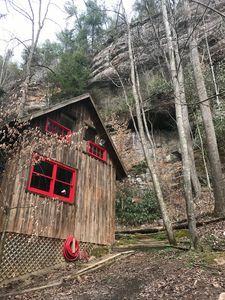 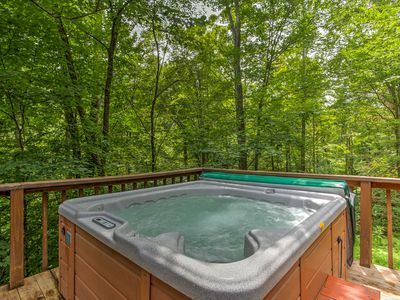 At 2600 sq ft, one of the largest log cabins in all of Red River Gorge/Natural Bridge area, this cabin offers it all: 4 person hot tub, regulation size pool table, satellite tv with all movie and sports channels, high speed internet, king beds in all BR, 3 bathrooms, 3 tv’s throughout the house, 2-person Jacuzzi tub, central AC. 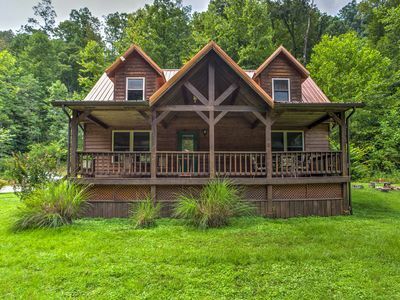 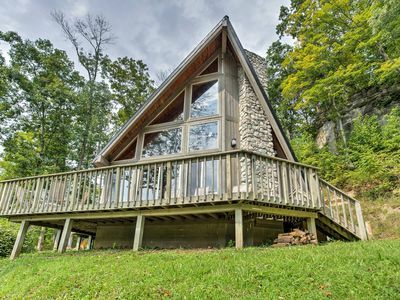 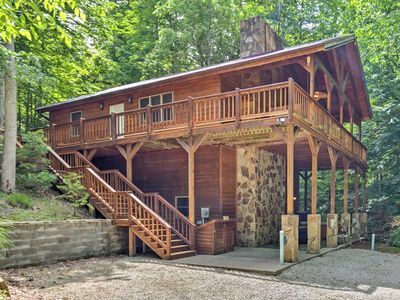 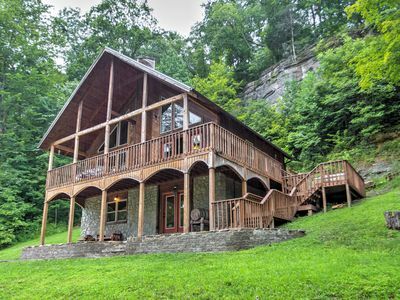 This magnificent log home sits on 2.5 acres overlooking a mountain valley view. 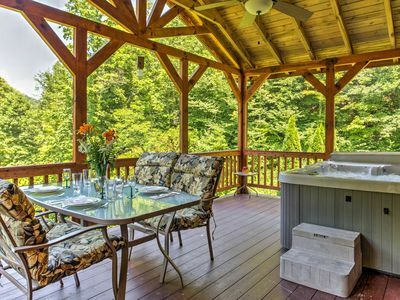 Home has 2 decks to sit out and enjoy the views. 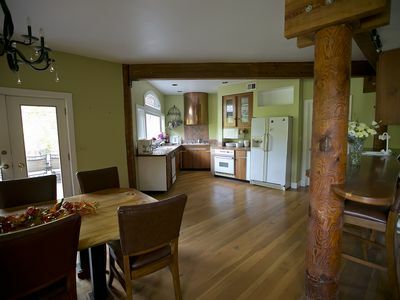 Home has all modern appliances including dish washer and washer/dryer. 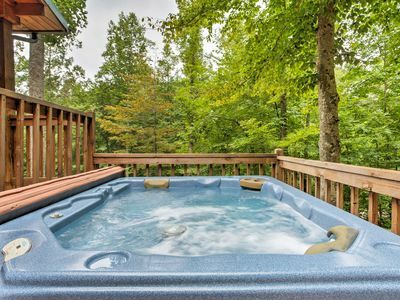 Cedar Palace has 4- BR and 3 full baths. 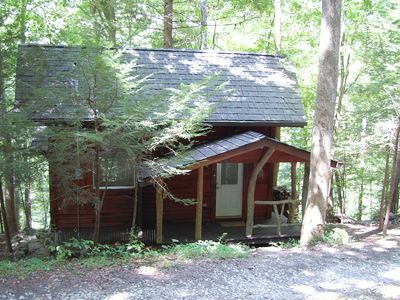 The master BR has a king bed, 2nd BR has a king, loft BR has a king and queen futon. 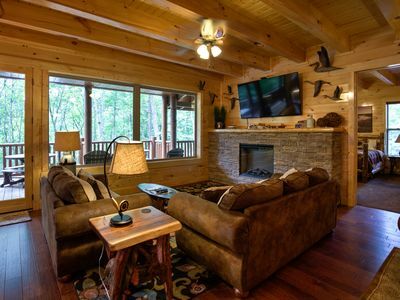 The private downstairs den has a kitchen area, living area and BR with a king bed. 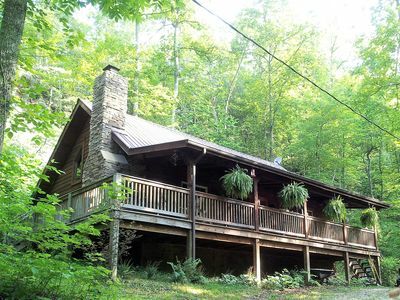 The house has 2 queen size sleeper sofa’s allowing up to a maximum of 14 people in the home. 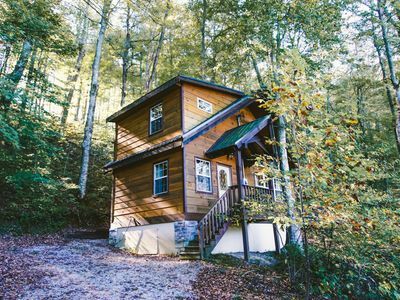 You will not find a better gem in all of eastern Kentucky. 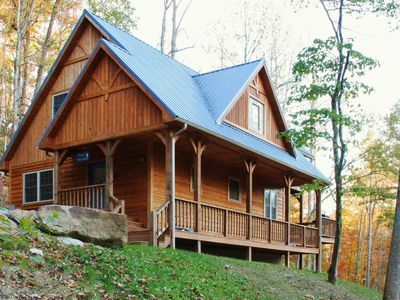 Oh, did I mention we have wireless high speed DSL for those who just want to relax after a long day of hiking. 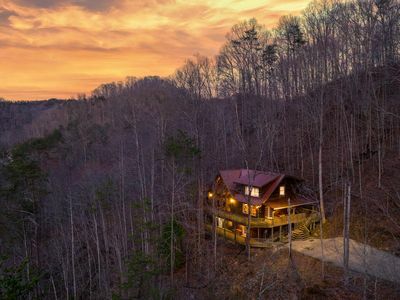 A large castle like house centrally located in the Red River Gorge, Ky.